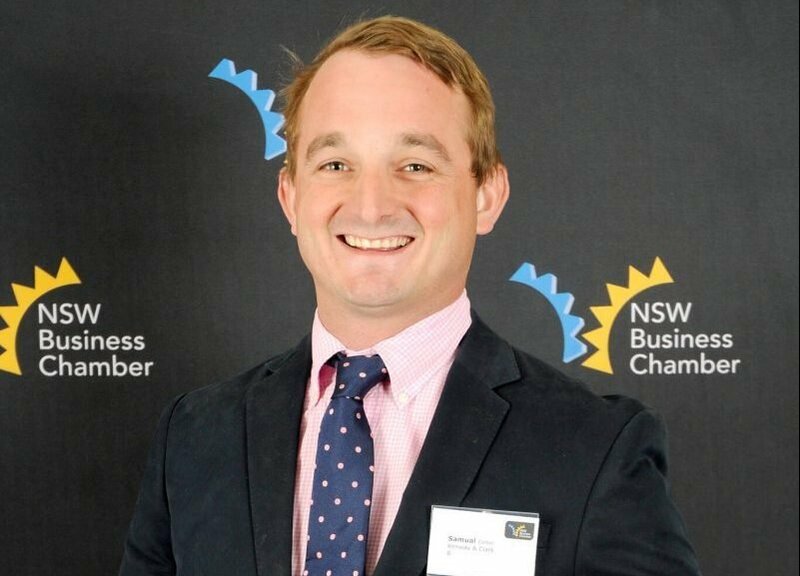 Kenway & Clark’s Sam Collier was named the New England North West Young Business Executive at Friday’s NSW Business Chamber Awards in Gunnedah. The 28-year-old Wee Waa Branch Operations Manager, who took over operations three years ago, is thankful to the community for their support towards the business. From an early age, Mr Collier became attuned to the wants and needs of the farmer, or what he calls the “grower”. “Growers need to create more produce with less land, less time and less workforce; this is where our service department comes in. Part of the success of the branch has to do with the young and enthusiastic team Mr Collier has assembled, with the average age of the branch only 28 years. Mr Collier is grateful that he was given an opportunity by Kenway & Clark General Manager Peter Burey to run the Wee Waa branch at 24 years old. At the business awards, Mr Collier ended his acceptance with a heartfelt appeal. “If I can say one thing to the employers out there, please give the young people coming into the workforce a chance. I was given an opportunity that not many others would at 24 to be a branch operations manager. Kenway & Clark are the premier Farm Machinery Dealership in Northern NSW and Southern QLD, providing the best in parts, sales and service support for agricultural or truck machinery. Mr Collier is excited to see his competition as he heads to the state finals in Sydney on November 17th.